When in the market for auto gauges, test equipment, mounting solutions, and data acquisition equipment for vintage and modern cars, Auto Meter is the best choice. The brand recently launched the Auto Meter LCD Competition Dash. This kit is designed to effortlessly perform in the harshest driving environments and is engineered using a carbon composite housing and ultra-bright 7-inch LCD display. Do you drool over those delicious looking gauges that you see on show-worthy vintage cars with white or beige-colored panels? You were most likely drooling over an Auto Meter gauge. The brand offers a plethora of designs and colors to match the theme of any type of vehicle. The bewildering array of gauge options includes 5-piece gauge kits, tach/combo gauges, dual gauges, monster tachometers, quad gauges, boost controllers, and in-dash tachometers. Auto Meter Gauges can also be personalized according to your needs via the Auto Meter Custom Shop. This is good news for car owners who are looking to add a more personal vibe in the restoration of muscle cars or vintage rides. You can select the size, color, theme, design, logo, font, and lighting colors of the gauge without compromising quality, style, and accuracy. Auto Meter also offers digital auto gauges for those who demand a modern touch. Your high-performance vehicle demands an accurate and stylish set of gauges. 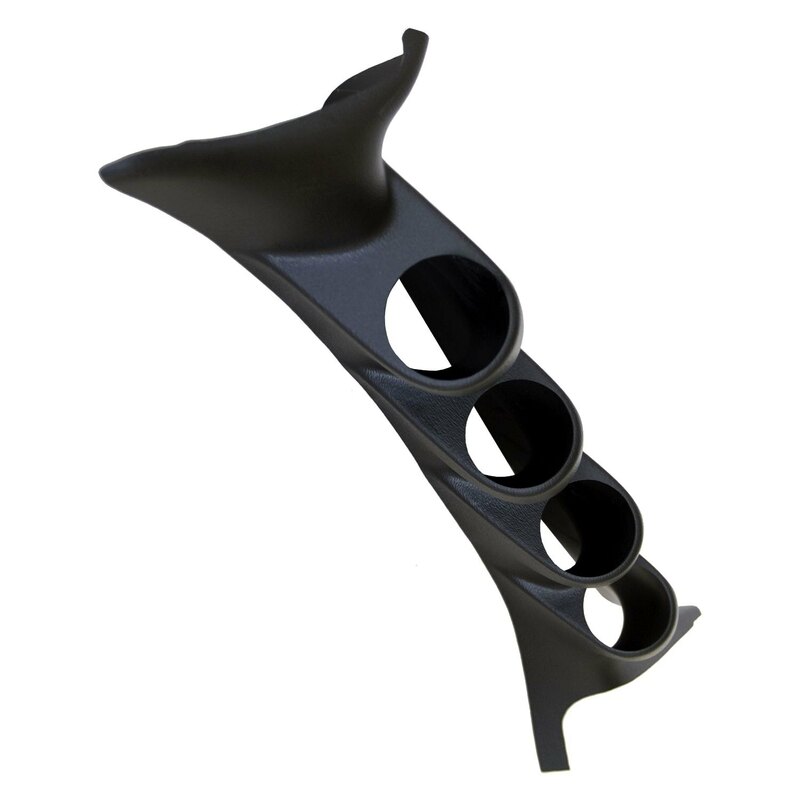 Sam’s Motorsports is home to an extensive array of Auto Meter overhead console gauge mounts, steering column gauge mounts, A-pillar gauge kit, console gauge mounts, and shifter console mounts at fairly affordable prices. 2007-2010 Jeep Wrangler Auto Meter A-Pillar Gauge Mounts, The Auto Meter A-Pillar Gauge Mounts is designed specifically to fit your 2007-2010 Jeep Wrangler without any modification to your beloved Jeep Wrangler. If this Auto Meter A-Pillar Gauge Mounts is not exactly what you are looking for to accessories your 2007-2010 Jeep Wrangler, please don't give up just yet. Our catalog has huge variety of parts and accessories for your Jeep Wrangler.